Anyone who has lived in Massachusetts over the winter season knows that the state gets it fair share of winter weather. 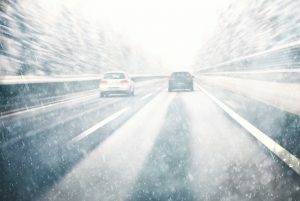 Whether it be snow, freezing rain, or black ice, Massachusetts roads can get ugly between December and February, increasing the likelihood of a Massachusetts car accident. These conditions can present a challenge to motorists who may not have a choice but to brave the conditions to get to work or take their children to school. Under Massachusetts law, all drivers must operate their vehicle at a speed that is “reasonable and proper”. In areas where there is a posted speed limit, the posted speed limit is considered the maximum speed that is reasonable and proper. 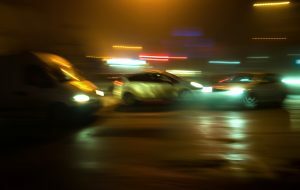 Thus, if a motorist causes an accident while speeding, the fact that they were traveling in excess of the speed limit at the time of the accident creates a rebuttable presumption that they were not traveling at a reasonable and proper speed. However, there are certain situations where traveling at the posted speed limit would not be reasonable and proper, and motorists must adjust their speed accordingly. The Massachusetts Supreme Court recently issued a decision discussing whether a plaintiff could file an asbestos claim beyond the time period set forth in the statute in cases involving diseases with extended latency periods. 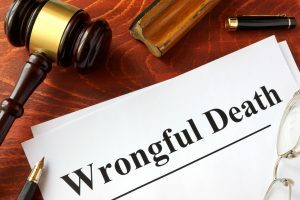 In this case, the claim was filed after a man died in 2016 of mesothelioma after he was exposed to asbestos when he working on the construction of two nuclear power plants in the 1970s. If you or a loved one was similarly exposed, reach out to a Massachusetts medical malpractice attorney. According to the court’s opinion, the plaintiff came into contact with asbestos between 1971 and 1978, and received his diagnosis of malignant mesothelioma in April 2015. In August 2015, he filed a claim alleging that General Electric had negligently exposed him to asbestos. General Electric designed and manufactured certain parts in the plant, and used insulation materials containing asbestos. 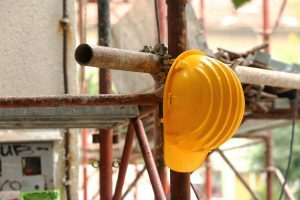 In a recent federal appellate case, a man was badly injured while he was operating a machine at work in Lakeville, Massachusetts. Evidently, the man mistakenly hit the foot pedal on the machine, causing the machine to activate, crushing his left hand. The machine was manufactured by Schechtl Maschinenbau, a German company, and was sold to the man’s employer by MetalForming, Inc., an American company. The man sued Schechtl and MetalForming in Massachusetts. Schechtl argued that it could not be sued in Massachusetts because there was no personal jurisdiction. Personal jurisdiction refers to a court’s ability to exercise power over the parties in a case. In order for personal jurisdiction to be established, a defendant must have certain “minimum contacts” with the state. To show sufficient contacts with the state under the applicable law, a plaintiff must show that: 1) the claims directly arise out of or relate to the defendant’s activities in the state; 2) the defendant’s contacts with the state constitute a purposeful availment of the privilege of doing business in the state; and 3) that jurisdiction is reasonable. 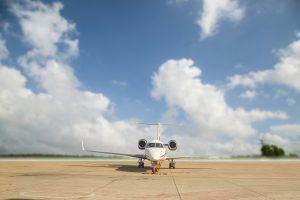 In this case, the court decided that there were sufficient contacts to find personal jurisdiction. The court found that the claim was related to Schechtl’s contacts with the state, and that jurisdiction was reasonable. The main issue was whether Schechtl purposely availed itself of the privilege of doing business within the state. In finding that it purposely availed itself, the court considered whether the exercise of jurisdiction was foreseeable to the defendant. Some laws can lead to harsh results, but when courts apply these laws they generally do so because of an honestly held belief that they are enforcing the law exactly as it is written. 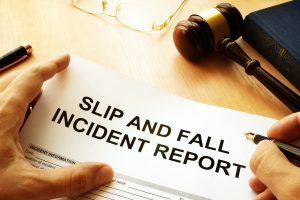 In a recent slip-and-fall case before a Massachusetts appeals court, the court dismissed the claim even though the plaintiff claimed she could not have known who the responsible party was within the allotted time. According to the court’s opinion, the plaintiff stepped on an uneven depression in a road in Boston and seriously injured her left foot. She notified the city of her claim within thirty days, and almost three months later, the city denied liability and claimed the Boston Gas Company was the responsible party. The plaintiff sent notice to Boston Gas the next day, and later filed a complaint against the city and the gas company. Evidently, Boston Gas moved to dismiss the claim, arguing that the plaintiff failed to timely file notice of the claim. In this case, it was undisputed that the plaintiff did not notify the gas company within thirty days. However, the plaintiff argued that her failure to comply with the notice requirement was excusable because it was “virtually impossible” to know that the gas company was the responsible party within the thirty-day period. Massachusetts personal injury victims can suffer devastating consequences if an insurance company rejects their claims for coverage. 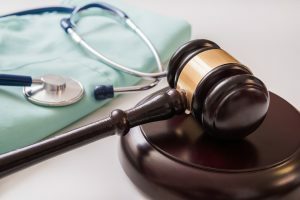 In a recent case before the Appeals Court of Massachusetts, the court had to determine whether the plaintiff was considered a “household member” in order to be eligible for coverage. According to the court’s opinion, the plaintiff was injured in a serious car accident while he was a passenger in a vehicle. The plaintiff was hospitalized for four days, and incurred medical bills of more than $40,000, as well as a long-term disability. 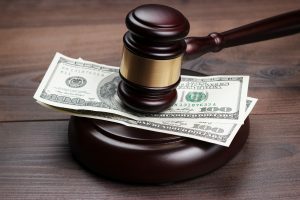 The plaintiff accepted a settlement with the driver for the full extent of the driver’s insurance policy of $100,000. Evidently, at the time of the accident, the plaintiff lived with his girlfriend and their minor son in a home with his girlfriend’s mother and stepfather. The mother and stepfather had an insurance policy that covered two cars used by residents of the plaintiff’s home. 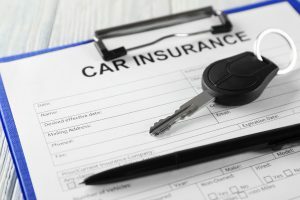 The policy provided $250,000 of coverage per person in underinsured motorist coverage for damages caused by a person who does not have sufficient insurance to cover someone’s damages. The plaintiff filed a claim under this policy. As a general rule, property owners have a duty to those whom they invite onto their land to ensure that the property is reasonably safe and that visitors are warned of any hazards that are present on the property. While this duty applies to landowners year-round, the majority of Massachusetts slip-and-fall cases occur in the harsh winter months, where sidewalks and parking lots often more closely resemble ice rinks than pedestrian walkways. When it comes to snow or ice accumulations on their property, Massachusetts landowners must “act as a reasonable person under all of the circumstances including the likelihood of injury to others, the probable seriousness of such injuries, and the burden of reducing or avoiding the risk.” However, that was not always the case. It used to be that Massachusetts landowners were only responsible for “unnatural” accumulations of snow or ice until the Supreme Judicial Court of Massachusetts issued an opinion abolishing the distinction between natural and unnatural accumulations. 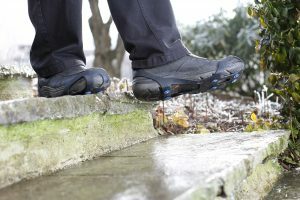 As the court explained the facts, the plaintiff was injured in a grocery store parking lot when he slipped and fell on a chunk of ice that had become frozen to the parking lot pavement. On the day of the plaintiff’s accident, it was not snowing, but it had snowed earlier that week. The grocery store had hired another company to clear the store’s parking lot, and although much of the lot was clear, there were several piles of snow. Plaintiffs are able to recover damages when they are injured due to the negligence of another. However, who is at fault and what is considered negligent are very fact specific inquiries. Your knowledgeable Massachusetts personal injury attorney can help you understand whether you may be eligible to recover damages for your injuries. A case recently heard by the federal court in the District of Massachusetts looked at a situation where a woman was injured after luggage fell on her.